I don't suppose that anyone familiar with the history and trajectory of "Fusion" is unaware of the importance of classical Indo-Pak and African elements in the development of the first seminal outfits that were categorized as such back in the early days. Of course there was John McLaughlin as a clear example of the Indian strain, but the rhythmic structural influence could be heard in some classic Miles of the day among many others, and the melodic element was a pronounced aspect of many sides. As for the African element, I only mention it here--for later discussion. 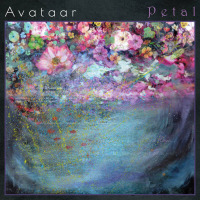 Avataar updates the Indian-jazz nexus on the recent album Petal (InSound Records IS003). It is the brainchild of saxophonist Sundar Viswanathan. 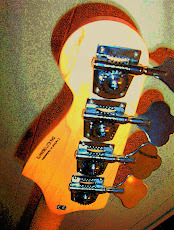 He's put together a very able and flexible group and they give us a new and exciting spin on Indo-jazz-rock doings. Sundar brings us a full CD of nicely crafted and arranged originals that open us up to something different. Key to it all is vocalist Felicity Williams and her oft-times wordless vocal instrument, which especially in the compositional segments plays an important role in the shaping of the ensemble melodies--sometimes in unison with Sundar's soprano or alto, or perhaps the electric guitar of Michael Occhipinti as well--who by the way plays some angelically demonic guitar here in the solo zone. And there is supreme musicianship to be heard all-around--Justin Gray on bass, Ravi Naimpally on tabla, Giampaolo Scatozza on drums are all huge contributors to the sound. The compositions stand out as especially fine. All players have a foot in both western and Indian camps, no more so than Sundar, who combines the two in his solo work beautifully well. It is music that those new to this sort of thing may dig right off, and those who love the Indian-Jazz-Rock nexus will feel like they are in a new home, with all the things they might expect and definite fresh twists, too, for a happy result. Excellent!